The MockingJay Symbols. All three of the famous MockingJay symbols found on the covers of every Hunger Games book in the triolgy. HD Wallpaper and background images in the The Hunger Games club tagged: hunger games the hunger games hunger games wallpaper mockingjay mockingjay symbol wallpaper. This The Hunger Games wallpaper contains tanda, poster, teks, papan hitam, and chalkboard. 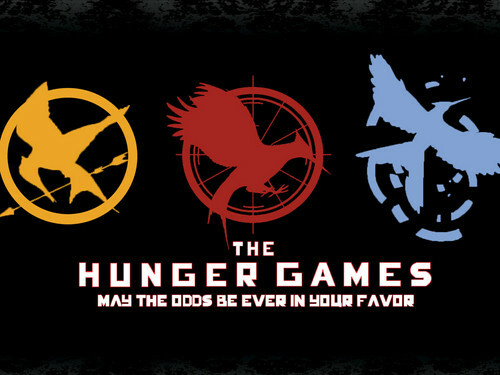 The Hunger Games, Catching Fire and Mockingjay.